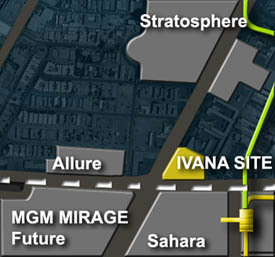 Real-estate developer Steven Johnson paid $47 million for the two-acre Ivana land and is keeping quiet about his plans for the high-profile site. Johnson has converted many a vacant lot into Walgreen's. I doubt that anyone would put a Walgreen's on a $47 million property, but anything could happen. According to Johnson, it will be at least a month or two before his plans for the site are finalized. Victor Altomare has backed out as the developer of this project. He has made no public announcement. There is a possibility of another developer stepping in. Sadly, this beauty will stay on the dreams page until further notice. Plans are still being developed for Ivana, and it has not yet been determined whether its main floors will house a boutique casino. 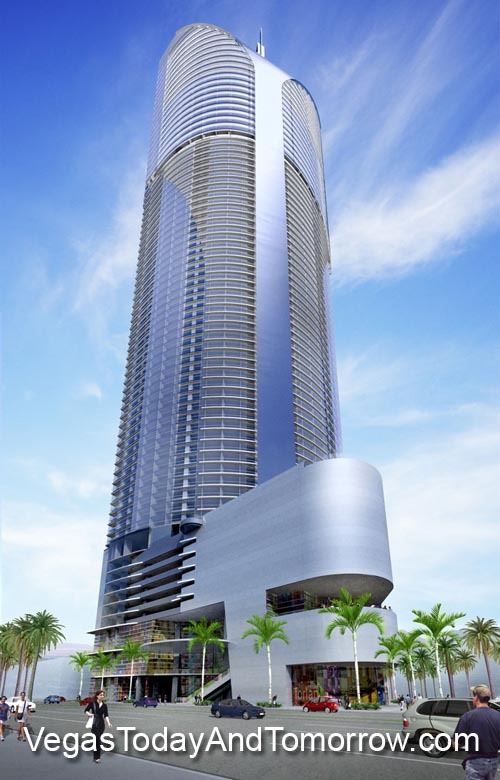 It will be sold as a condo hotel with the top 15 floors reserved for penthouse residential living. This flamboyant design includes nine floor plans totaling 960 units topped by a 15,700-square-foot penthouse that the builders expect to sell for more than $35 million. 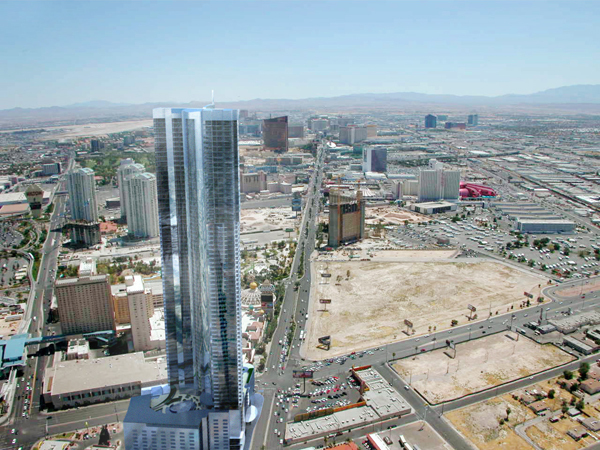 Joseph Di Mauro and Victor Altomare insist that the area between their group's proposed 940-foot residential tower and the sister project, Liberty Tower will become a high-class gateway to downtown Las Vegas. Cheesy motels and other undesirable businesses will be replaced with an urban-styled - sidewalk-close, shopping, dining, and nightclub experience similar to what you find in New York City. They wish to create a true urban pedestrian environment. Sales offices in Australia and Asia will play a role in marketing what he called "a project of national significance." It will take about 3 years to complete Ivana. 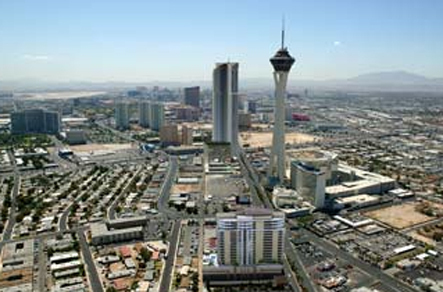 This rendering shows Ivana's size and proximity to the Stratosphere.